Capital Square 1031 is a national real estate investment and management company. The firm sponsors institutional-quality real estate exchange programs that qualify for tax deferral under Section 1031 of the Internal Revenue Code. 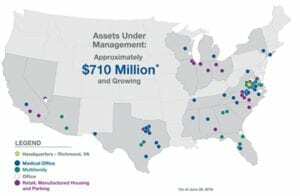 As of July 26, 2018, the firm oversees a growing national portfolio of 70 real estate assets valued at approximately $760 million (based on investment cost). Capital Square provides a range of services, including due diligence, acquisition, loan sourcing, property management/asset management, and disposition, for a growing number of high net worth investors, private equity firms, family offices and institutional investors. We target corporate tenants that successfully operate in the necessity retail and health care industries to provide investors with stable and predictable income. Our multifamily offerings feature strong cash flow, high debt coverage ratios, conservative underwriting, long-term fixed-rate financing, and the potential to enhance return with value-added strategies. We believe that investors deserve an investment strategy that provides them with stable cash flow, capital preservation, and value-added return potential in the face of uncertain economic and financial conditions. .
A commercial real estate brokerage and advisory firm dating from 1958, with a New York City presence since 1985. At the time of the acquisition, Grubb & Ellis had a New York regional staff of 1,000, including debt and equity experts; financial analysts; and appraisers. Much of Grubb & Ellis regional work had come from outside the city, including in Westchester County and Connecticut; and the firm for a long while struggled to gain a significant workload in prime Manhattan, even filing for bankruptcy protection in February 2012. 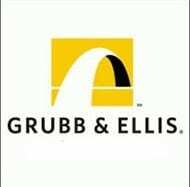 Grubb & Ellis was a commercial real estate brokerage and advisory firm dating from 1958, with a New York City presence since 1985. 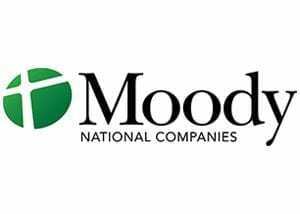 It was acquired in April 2012 by BGC Partners, a wing of Cantor Fitzgerald, and was folded into a one-time rival. They worked out of five offices, including the regional headquarters at 125 Park Avenue; and the firm managed more than 36 million square feet of commercial space in the New York City area. The has been integrated with the old Newmark Knight Frank, the commercial brokerage and advisory firm acquired by Cantor Fitzgerald in 2011. Cantor Fitzgerald was able to acquire its assets through the bankruptcy filing for the relative bargain price of $51 million. The new firm is called Newmark Grubb Knight Frank. Cantor Fitzgerald C.E.O. Howard Lutnick has said the firm will roll out by the end of 2012 property derivatives pegged to rents in individual buildings so landlords and tenants can hedge against unexpected market volatility. Founded in 1945, Cantor Fitzgerald is as global financial services firm with approximately 10,000 employees located in more than 84 offices and 20 countries around the world. Over the past decade, Cantor Fitzgerald has invested more than $2 billion in its commercial real estate business infrastructure. Cantor Fitzgerald Capital brings to market a range of high-caliber real estate investments, including Non-Traded REITs and 1031 Exchanges. It is one of the only 22 primary dealers of U.S. government securities. Cantor Fitzgerald Capital is fully integrated into the broader organization, resulting in a strategic alignment of affiliated firms that represents every phase of a real estate transaction. They are among the largest real estate brokerage and financing companies in the world, a inter-dealer broker and a well-known investment bank. We pride ourselves in providing retail and multi-family properties that qualify for 1031 Exchange, facilitating deferral of capital gains taxes. Whether you’re an investor, lender, seller or tenant, we can help connect you to the right people. 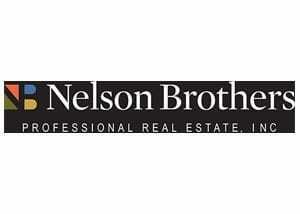 Over 90 years of combined experience in the commercial real estate and investment industries. 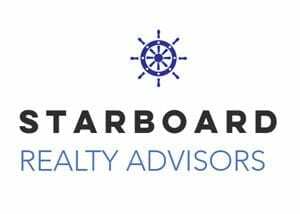 Starboard Realty Advisors, LLC is a team of commercial real estate experts. As a privately held and fully integrated real estate firm, we have more than 35 years of hands-on experience. We work with sellers, lenders, investors and brokers to acquire, maintain and sell retail properties and multifamily properties. Acquired and managed over $6 billion of U.S. real estate in over 30 states. We value our local, national and international relationships that have been developed in the company’s 20 plus years of doing business. Collectively, our management team has over 150 years of real estate experience. For over 25 years, Madison and its affiliates have purchased, managed, and disposed of over $1 billion in commercial real estate including: assisted living, senior apartments, and skilled nursing. We value management personnel who have lived through real estate cycles and have been successful in good and challenging times. We value management experiences in being able to spot opportunities and to react quickly to those opportunities. The Sponsor’s primary focus is acquiring cash flowing assets with value-add upside for clients. Majority of the properties we buy allow us to increase value through rehabilitation, expansion, or changing the rental mix. 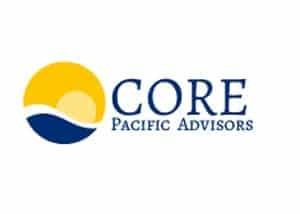 A sponsor of alternative public and private real estate securities, and provides opportunities for individuals to invest in real estate programs. Through June 30, 2018, IPC-sponsored private placements have been made up of 604 properties comprised of more than 41.9 million square feet of gross leasable area, and including 15,343 residential units. Since inception, Inland entities, employees, spouses, directors and affiliated employees have invested more than $42 million in IPC-sponsored offerings, reflecting Inland’s alignment with its investors. Currently owns and operates nearly 5,000 apartment units. Hamilton Point Investments LLC (“HPI”) is a real estate private-equity investment company that owns and manages multifamily apartment properties. accounting, reporting, acquisitions and financing. The properties owned by HPI and affiliated entities are managed by wholly-owned Hamilton Point Property Management LLC (“HPPM”). HPPM is responsible for cost-effective, efficient and institutional-quality property-level staffing, leasing, maintenance, contracting, marketing and reporting. Manages 56 properties in 25 states with 1.79 million sq ft space with 100% occupancy. Turnkey Solution for Property Sourcing, Due Diligence, Financing and Management. By acquiring investments at prices below intrinsic value, CPA can create an immediate margin of safety for investors while positioning them for higher return potential. By acquiring low and moderate risk investment grade properties with high current cash flow, CPA’s proactive asset and property management can help increase net operating income (NOI) and add value throughout the investment process. Everest Properties is a privately-held, diversified real estate investment firm. Everest seeks to acquire and finance assets that Everest believes have a disproportionately high potential investment return compared to the investment risk. 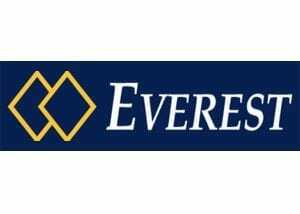 Everest’s current portfolio of property is estimated to exceed $500,000,000 in value. Our platform targets multifamily, mixed-use, business and healthcare properties to acquire, reposition and develop. Acquired and/or developed 4,000 multifamily units and more than 3 million sq. 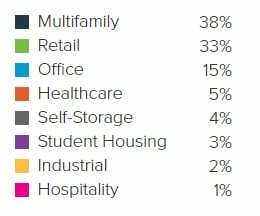 ft. of office, industrial and retail properties in the last 15 years. $500 million in real estate investments with annual rates of returns consistently over 20%. Arrimus Capital invests in compelling real estate opportunities on behalf of private investors, institutions and select investment advisors. We tailor our investment strategies to meet the mandates of our investors and their specific investment programs. We favor well located assets priced below replacement cost in supply constrained markets and seek to capitalize on demographic trends and market timing. Founded in 1970, AEI brings decades of professional expertise to the management of its net lease property investment offerings. Investors have subscribed more than $1.13 billion to AEI net lease property offerings. 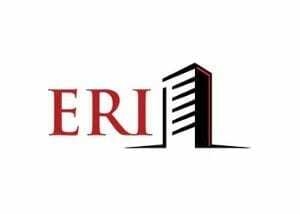 AEI has sponsored 136 net leased real estate programs for more than 20,000 investors nationwide. It is one of the first to start 1031 Exchange in United States of America. AEI believes that a debt-free approach to commercial property ownership provides an opportunity for consistent income combined with a high degree of capital protection. San Antonio is the second-largest city in the state of Texas and the seventh-largest city in the United States with a population of 1.3 million. It was the fastest growing of the top 10 largest cities in the United States from 2000-2010. The city is home to one of the largest military concentrations in the United States. This property is considered a “zero-coupon” real estate ownership opportunity as there is an assumable, non-recourse loan already in place and, by design, “zero” cash flow will be produced. Instead, the lease payments go directly to repaying the loan. At the end of the initial lease term you own the property free and clear. The defense industry in San Antonio employs over 89,000 and provides a $5.25 billion impact to the city’s economy. San Antonio is also home to five Fortune 500 companies including Valero Energy Corp, Tesoro, Clear Channel Communications, USAA, and NuStar Energy. ApexOne Investment Partners acquired Wimberly at Deerwood on Feb. 19th, 2013 and to date 15 units have been completely upgraded and leased. The upgraded units initially projected to achieve 6-8% rental increases have achieved 12.3% increases with effective rents increasing from $1.03 sq. ft. to $1.19 sq. ft. The lower loan costs that were achieved using floating rate debt with a 4.5% cap have resulted in >13% annualized investor returns, ahead of projections. To date 15 units have been completely upgraded and leased. The upgraded units initially projected to achieve 6-8% rental increases have achieved 12.3% increases with effective rents increasing from $1.03 sq. ft. to $1.19 sq. ft. The lower loan costs that were achieved using floating rate debt with a 4.5% cap have resulted in >13% annualized investor returns, ahead of projections. I395. The property sits on 16 acres within Fairfax County and is zoned I-4. Under a Confidential Private Placement Memorandum and Addendum dated December 11, 2007 (the “Memorandum”), BIG Carriage Park, LLC and BIG Carriage Park Investors, LLC are offering investors tenancy-in-common interests in the property, and limited liability company units in an entity that will own a tenant-in-common interest in the property. The offerors and the property management company are owned by BGKIntegrated Group LLC. Since November 2006, BIG’s wholly-owned subsidiaries have conducted 10 offerings of tenancy in common and/or limited liability company interests involving over 1,348,791 square feet of office and light industrial properties in Alabama, New Mexico, Texas, Louisiana, Ohio, Kansas, Florida and West Virginia for an aggregate price (including investor equity and assumed debt) in excess of $203,902,975. BGK owns, operates, and manages commercial real estate. 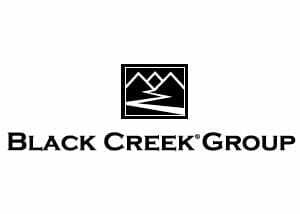 Formed in 1991, BGK has acquired more than 300 properties nationwide, sponsored real estate projects involving over $800,000,000 of equity from more than 2,500 investors, and obtained over $2,500,000,000 in mortgage loans. BGK currently manages almost 18,000,000 square feet of space. 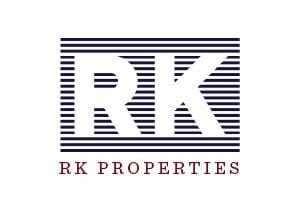 The Property is presently owned by a real estate limited partnership managed by affiliates of BGK. The TIC offeror will acquire at least a 2% interest in the property, and the current owner or its affiliates will retain unsold interests. The Copperfield Apartments are located along Sir Winston Drive, just east of Blanco Road, in the suburban north central San Antonio submarket, approximately 8 miles north of the San Antonio central business district and approximately 1.5 miles northwest of the San Antonio International Airport. Land uses within the immediate vicinity of the property consist primarily of multi-family developments built in the 1980s and 1990s, and middle income single family residential developments. According to Marcus & Millichap’s First Quarter 2008 Apartment Research Market Update, employers, for the second straight year, are set to add approximately 16,000 jobs to the San Antonio metro, a 1.9% increase, one of the strongest growth rates in the nation. Major employers within or accessible from the subject neighborhood include H.E.B. Foods, North Central Baptist Hospital, Methodist Stone Oak Hospital, the South Texas Medical Center, Kelly USA, Lackland Air Force Base, Fort Sam Houston, USAA, Sea World, and Fiesta Texas, along with major retailers, and the San Antonio International Airport. CROWD REALTY ADVISORS principals collectively have a century of institutional and private real estate investment experience totaling $2 Billion in real estate transactions. Crowd Realty Advisors is the culmination of decades of combined investment experience established to capitalize on the rapidly occurring paradigm shift preferring urban, over suburban lifestyles for work, live and play. 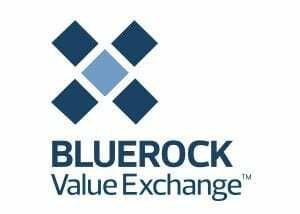 1031 EXCHANGES This offering is designed for accredited investors seeking to participate in a proposed tax deferred exchange as well as accredited investors seeking a quality, multiple owner real estate investment on a cash basis. A DELAWARE STATUTORY TRUST, or DST is a separate legal entity formed as a trust under Delaware law, allowing a investor to use their beneficial interest in the DST as a replacement property in a 1031 Exchange. 1250 & 1400 South Michigan Avenue DST is a DST offering that can accommodate investors seeking replacement property options. Hartman is offering to accredited investors the opportunity to purchase beneficial ownership interests in the Hartman Retail I, DST which was formed to acquire a 109,000 square foot retail building located in the Far North Retail Submarket of Houston, TX. The Hartman Retail I, DST should qualify as a real property interest for purposes of completing a like-kind exchange of real property under IRC Section 1031. Floor & Decor Outlets of America (100% leased) Floor & Decor is a highly differentiated, rapidly growing specialty retailer of hard surface flooring and related accessories with 51 warehouse-format stores across 13 states, as of April 10, 2015. The property is situated at the intersection of I-45 and Overland Trail, and has a daily traffic count of 263,709 vehicles. Over 16,712 people live within 1 mile and 95,312 people live within 3 miles. The average vacancy rate for this submarket currently stands at 6.6%. Cordevalle (the “Property”) is a 280-unit luxury garden-style community comprised of 12 two and three story residential buildings located in the north Austin area in the city of Round Rock, Texas. It is located approximately 25 miles northeast of Austin’s central business district. The Property includes one and two bedroom units and contains 286,483 net rentable square feet with an average of 789 square feet per unit. The property was completed in 2014. This is not an offer to sell securities. An offer to sell the Interests of the DST may be made only pursuant to the Memorandum. The information contained herein is qualified in its entirety by the Memorandum. All potential investors must read the Memorandum in its entirety before investing and no person may invest in the Interests without acknowledging receipt and complete review of the Memorandum. The Offering is being made by means of the Memorandum only to qualified investors who meet minimum accreditation requirements, as well as suitability standards as determined by a qualified broker-dealer. THE OAKS AT LYNCHBURG, Lynchburg, VA, is an assisted living facility completed in 1991 with an addition in 1999 (the “Project”). The building contains 40 units and is licensed for 61 beds. The 21,887 square foot building is situated on a 4.27-acre site. The Project is a single story building consisting of exterior wood-frame walls, brick veneer, a double pane window system, and an asphalt composition roof. Common area amenities include a family style dining room with patio, library with fireplace, sun room, walking path, front porch, and distinctive furnishings that accent a rich decor. The John Company bring over 25 years of institutional level experience. 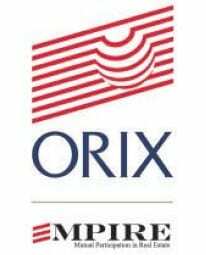 Along with experience comesinstitutional level relationships, research, due diligene, assest class, invaluable insight into management decisions, value added opportunities and years of commerceial real estate knowledge. 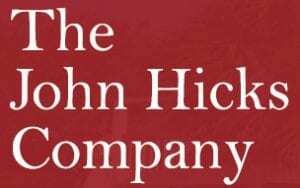 The John Hicks Company provides institutional leadership with low cost fees creating tremendous value for investors. The John Company bring over 25 years of institutional level experience. Along with experience comes institutional level relationships, research, due diligence, assets class, invaluable insight into management decisions, value added opportunities and years of commercial real estate knowledge. The John Hicks Company provides institutional leadership with low cost fees creating tremendous value for investors. Landmark Dividend LLC, (“Landmark” or “sponsor”) is offering to accredited investors the opportunity to invest in the land beneath the Great Valley Solar project through Delaware Statutory Trust (“DST”) interests in Landmark Dividend Solar Land 1 DST. The property is 100% leased, is located in Fresno County, California, will not have any leverage, and is currently owned by the Sponsor. Three adjacent parcels of land in Fresno County, CA totaling approximately 1,634 acres (currently owned by the sponsor), used for four solar farms . The Heights at Battle Creek (the “Property”) is a newly built, Class A apartment community consisting of 276 apartment units in twenty-three, three-story buildings containing a total of 237,516 rentable square feet. Beautifully landscaped and maintained, the Property provides residents with secured gate access and the option of either a detached single-car garage or carport. Principle Equity Management (PEM) is offering accredited investors the opportunity to purchase LLC interests in 121 Airport Centre I & II. The asset includes two Class A two story multi-tenant office buildings totaling 251,168 net square feet, located on 18.35 acres in Bedford, Texas a suburb of the Dallas/Fort Worth Metroplex. This offering provides an opportunity for investors to acquire an institutional quality asset leased entirely by five national credit tenants. 121 Airport Centre is currently 90% leased. Long term tenancy, 80% of the complex is leased through 2010. Only 6,797 sf (2.7%) of tenant rollover prior to 9/09. Buildings were recently constructed in 2000 and 2001. Rainier Exchange Portfolio I, DST (the “Trust”) has been formed to acquire four recently constructed retail properties subject to existing long-term leases with CVS and existing long-term mortgage fi nancing with Wells Fargo Bank. Investors seeking replacement property for a 1031 exchange can acquire benefi cial interests in the Trust and receive tax deferral and the benefi ts of property ownership. 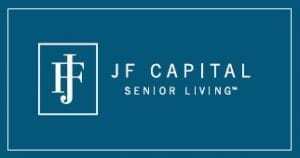 The purchase price for each 1% interest in the Trust is $27,000 of cash and the assumption of $197,000 of debt, thereby providing signifi cant 1031 debt replacement for a relatively low cash investment. Designed particularly for those investors seeking basis replacement on relinquished property that was sold at a loss or is pending foreclosure, the Trust provides an alternative to paying taxes on a discontinued 1031 exchange without the substantial equity required for most new property investments. The REVA team delivers solid performance over the life of your investment. Execution matters, details matter and with REVA Raleigh Colonnade, we are focused on a buisness plan that delivers exceptional tenant service, a zero hassle occupancy and complete satisfaction to assure the highest asset value and ongoing cash flow to investors. Superior outcomes, solid returns and personal service are all part of what REVA delivers every day. The Company is newly formed for this transaction and has no operating history. While the Sponsor has completed seven syndication utilizing the TIC structure, this is only their fourth investment syndication utilizing the DST structure. The subject property is a Class A once building that is 100% leased to a single tenant, Salix Pharmaceuticals, Inc. and the performance of the investment is dependent upon that lease. Neither Jones Lang LaSalle, nor any of its partners, directors, officers, employees and agents (“Agents”), make any representations or warranties, whether express or implied, by operation of law or otherwise, with respect to this Offering Memorandum or the Property or any materials, statements (including financial statements and projections) or information contained herein or relating thereto, or as to the accuracy or completeness of such materials, statements or information, or as to the condition, quality or fitness of the Property, or assumes any responsibility with respect thereto. Such materials, statements and information have in many circumstances been obtained from outside sources, and have not been tested or verified. Projections, in particular, are based on various assumptions and subjective determinations as to which no guaranty or assurance can be give. Reno Student Housing, DST, a newly formed Delaware statutory trust (the “Trust”) and an affiliate of SmartStop Asset Management (“SAM”), is offering (the “Offering”) to sell to certain qualified, accredited Investors (the “Investors”) pursuant to this Confidential Private Placement Memorandum (the “Memorandum”) up to $42,900,000 of beneficial interests (the “Interest”) in the Trust. The Trust will acquire a newly constructed, 99% leased, Class “A”, purpose-built student housing property located at 2780 Enterprise Road, Reno, Nevada 89512 commonly known as The Summit (“The Summit”). The Summit is a seven building LEED Certified Silver, 186 Unit /709 bed student housing community on 8.95 acres located one block from the University of Nevada, Reno (“UNR”) campus. This summary is for informational purposes only and is not intended as an offer or solicitation. An investment in the property described in this summary may only be made pursuant to the terms of a Private Placement Memorandum to be issued by an affiliate of Syndicated Equities Group, LLC (the “Sponsor”). Investments in securities involve risks and prospective investors should carefully review the Private Placement Memorandum. All information and disclosures in the Private Placement Memorandum shall supersede information in this summary and any other information, written or oral, that has been provided with respect to this investment. This material is not intended to address the particular circumstances or needs of any specific person or entity. Selina Plaza is strategically located in the northeast section of Jacksonville, Florida at the Alta Drive exit off State Highway 9- A on the northwest corner of Faye Road. This section of Jacksonville is rapidly growing with substantial growth projected over the next 5-10 years. In addition to these dynamics, Expansion Magazine has ranked Jacksonville as the #1 “Hottest City” in America for business relocation or expansion. Jacksonville, ranked in the top 10 every year of the survey, was ranked first in 1999, 2002 and 2003. Selina Plaza capitalizes on the tremendous quantity of homes recently built, under construction, and planned in the area. Furthermore, North Point Industrial Park, which will feature over 3 million sq. ft. of hi-tech flex office and industrial buildings upon completion, steadily increases demand for retail support in the immediate vicinity. The addition of Dunn’s Creek Crossing, a 100,000+ sq. ft. retail and office neighborhood center, located on the northeast corner of Alta Drive and Faye Road further substantiates the demand for retail properties in the area. The Marquis at Mount Zion Apartments offer a very functional location, excellent curb appeal, and a competitive amenity package while maintaining seclusion and privacy. This market-leading asset is located just one mile from Interstate 75 and the one million square foot Southlake Mall. It is an area with consistent population growth at the epicenter of major retail and employment districts. Located approximately one mile from the interchange of I-75 (156,640 vehicles/day) and Jonesboro Road (34,130 vehicles/day). The property fronts Southlake Parkway (26,760 vehicles/day). Investing in DST Interests involves a high degree of risk. Before investing you should review the entire Private Placement Memorandum including the section titled ‘Risk Factors.’ Dated: May 14, 2015. The purchase of an Interest involves a number of risks. Do not acquire an Interest if you cannot afford to lose your entire investment. Carefully consider the risks described below as well as all those discussed in the Private Placement Memorandum (“PPM”) section titled “Risk Factors”. Consult with your legal, tax and financial advisors about an investment in an Interest. BENEFICIAL OWNERS POSSESS LIMITED CONTROL AND RIGHTS | The Trust will be operated and managed solely by its Trustee and Manager. Purchasers as Beneficial Owners will have no right to participate in any aspect of the operation or management of the Trust. BENEFICIAL OWNERS DO NOT HAVE LEGAL TITLE | The Beneficial Owners will not have legal title to the Property. The Beneficial Owners will not have any right to seek an in-kind distribution of the Property or divide or partition the Property. The Beneficial Owners do not have the right to sell or cause the sale of the Property. The Sam Houston State Portfolio consists of two properties located at Sam Houston State University in Huntsville, TX. Montgomery Village is a 48 unit, 192 bed, luxury student housing complex built in 2007 and located approximately ¼ mile south of campus. The Village at Sam Houston is a 48 unit, 192 bed, luxury student housing complex built in 2004 and located approximately ½ mile east of campus. For the 2007-2008 academic year, Montgomery Village is 97.4% leased and The Village at Sam Houston is 92.30% leased. The Sam Houston State Portfolio consists of two properties located at Sam Houston State University in Huntsville, TX. Montgomery Village is a 48 unit, 192 bed, luxury student housing complex built in 2007 and located approximately ¼ mile south of campus. The Village at Sam Houston is a 48 unit, 192 bed, luxury student housing complex built in 2004 and located approximately ½ mile east of campus. Since 1976, RK has sponsored over 100 investment programs valued in excess of $450 million. More than 65 of the programs have gone full cycle. Avistone has delivered an average cash distribution yield to its investors of more than 8%. 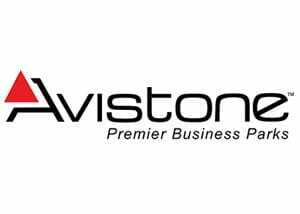 Avistone is focused on preservation of capital. Risk is mitigated by acquiring stabilized properties at a purchase price that is substantially below the property’s replacement cost. 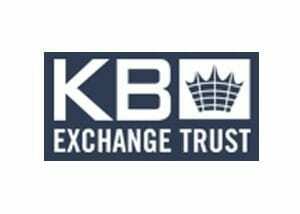 KB Exchange Trust provides real estate investors with a simplified 1031-exchange solution through DST ownership interests. Structured over 19 separate co-ownership offerings, valued at approximately $200 million. Bring more than 75 years of experience to each investment. Throughout their career, our team has completed more than $20 billion in real estate transactions, including acquisitions, development, repositioning, leasing, capital raising, mergers and acquisitions, leveraged buy-outs and portfolio recapitalizations. 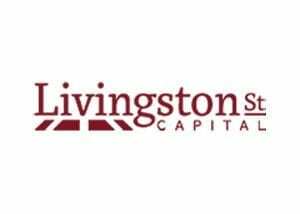 Livingston’s investment strategy can best be described as focusing on the “needs” of individuals and corporations versus the “wants.” As a result, they focus on investment themes that they believe are less geared towards discretionary expenditures and are more closely aligned to what is essential to the user. 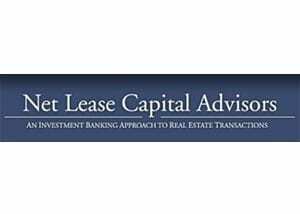 $9 billion in transactions closed in single tenant net lease properties since 1996.